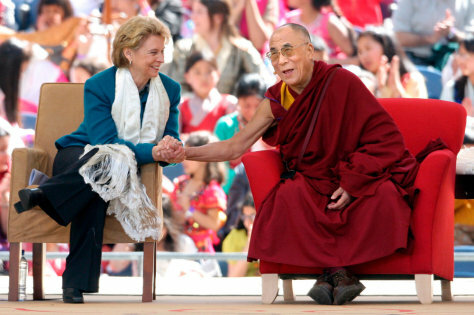 The Dalai Lama laughs with Washington Gov. Christine Gregoire after he said that men — not women — were to blame for the world's problems. He appeared before 50,000 people on the second day of his visit to Seattle.